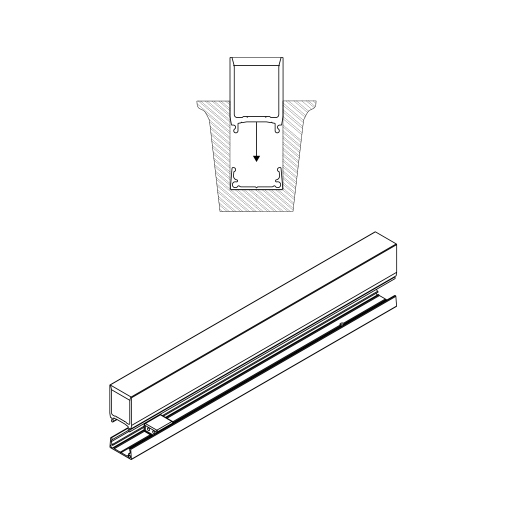 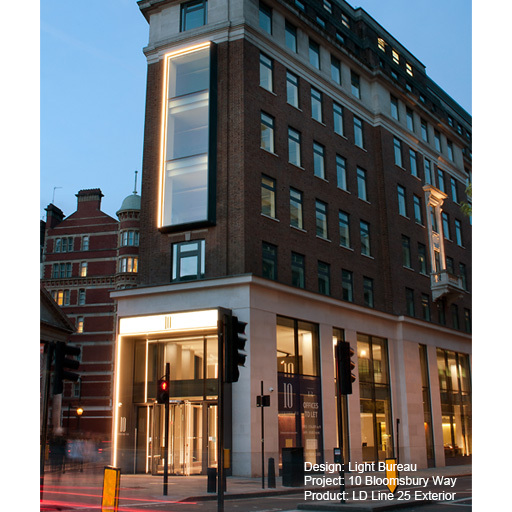 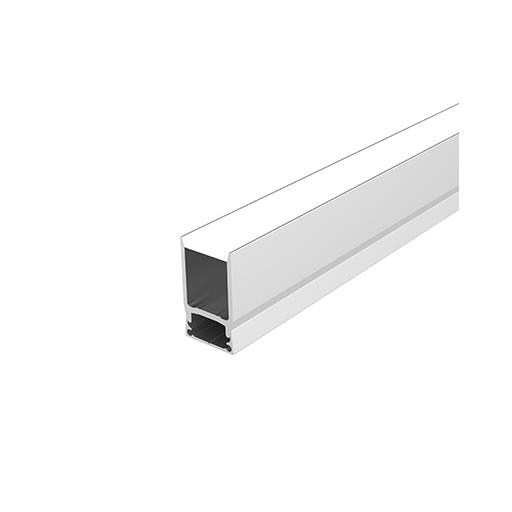 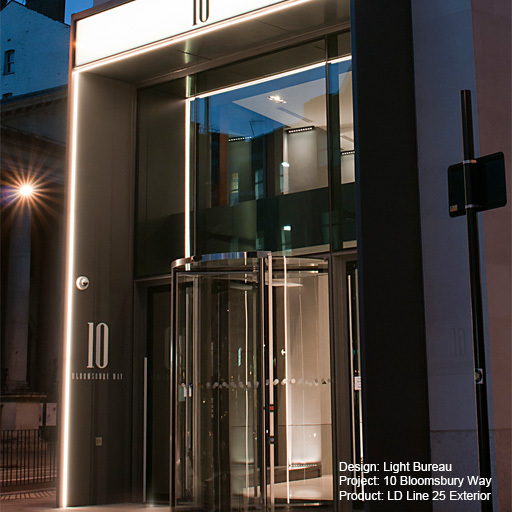 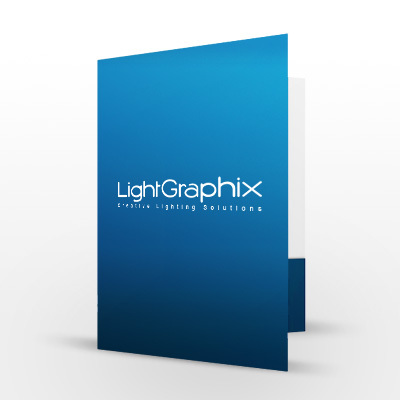 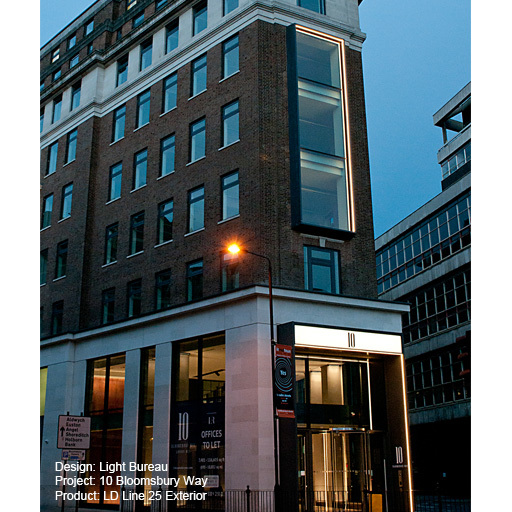 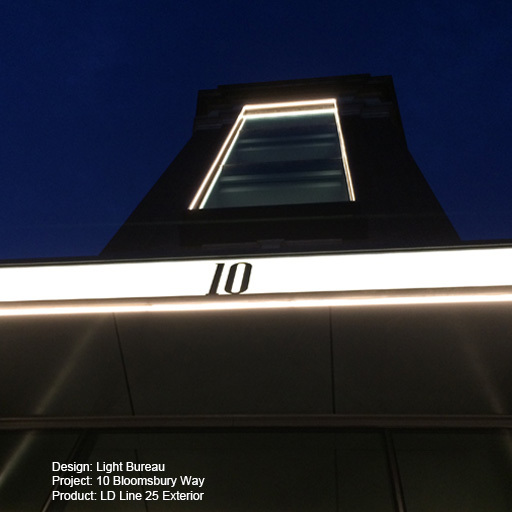 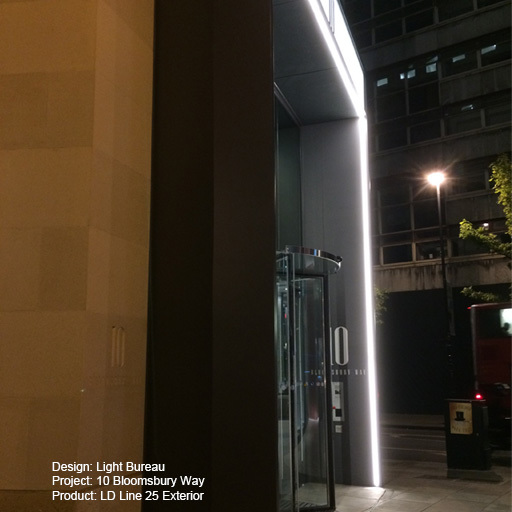 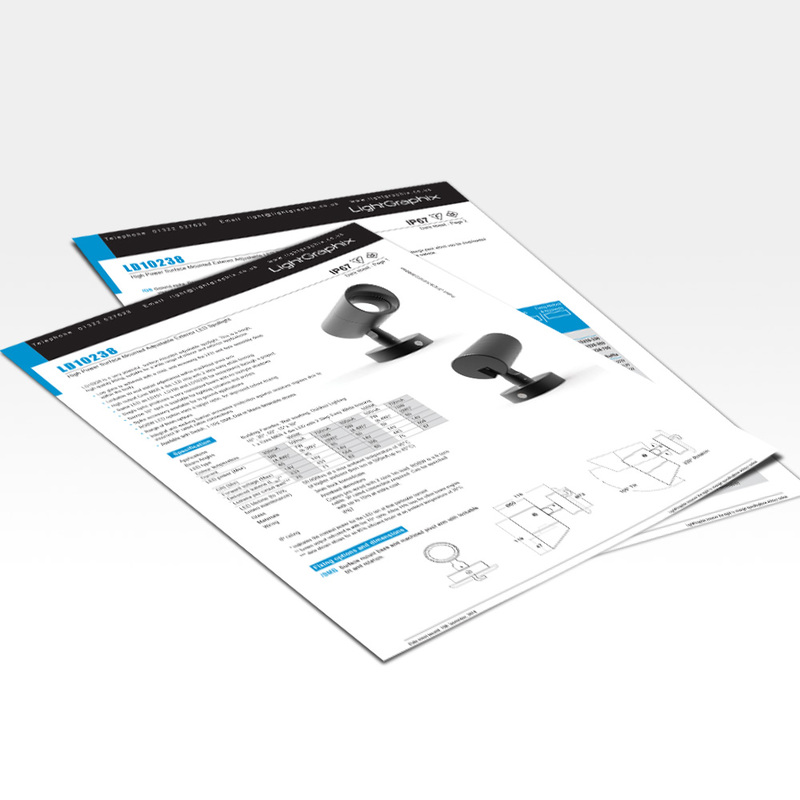 The new LD Line 25 is an exterior rated LED homogenous line of light. 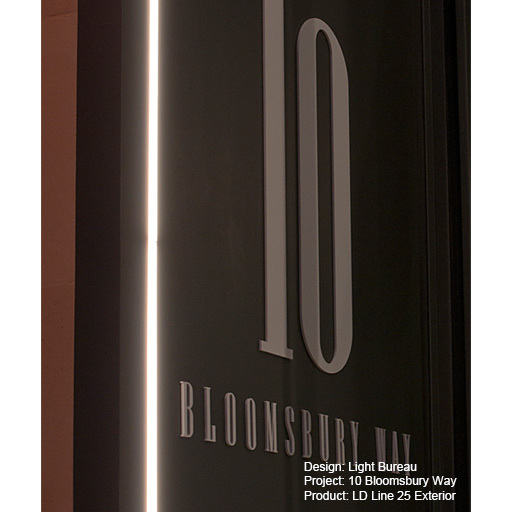 It is custom made to suit the dimensions on site. 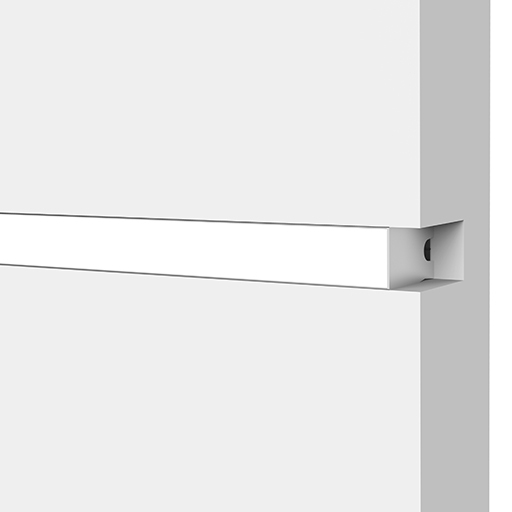 Cut increments of 50mm allow lengths to fit into most details, with minimal dark spots. 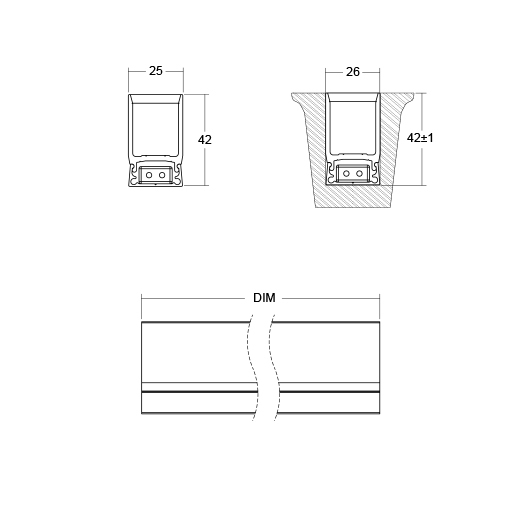 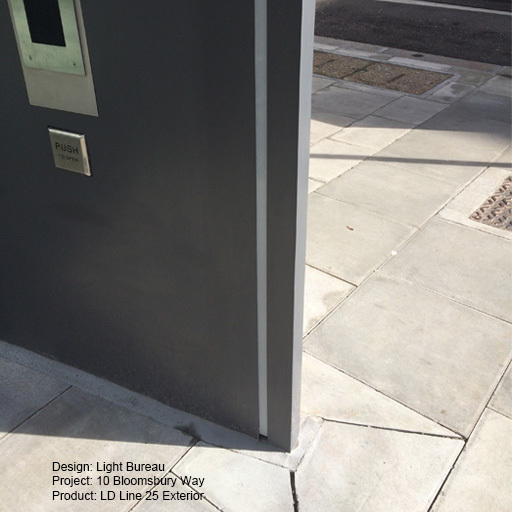 Please note that LD Line 25 Exterior is not suitable for external applications within the floor / ground. 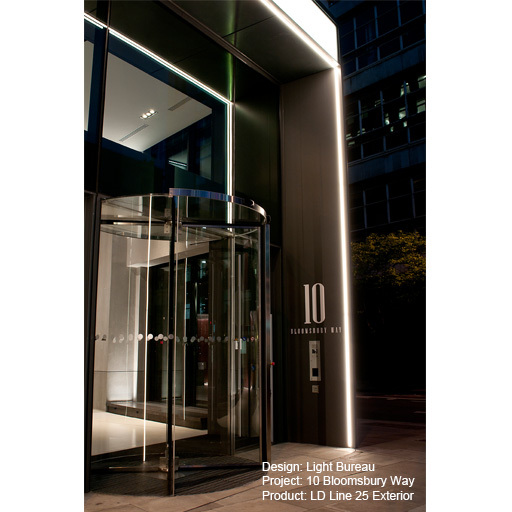 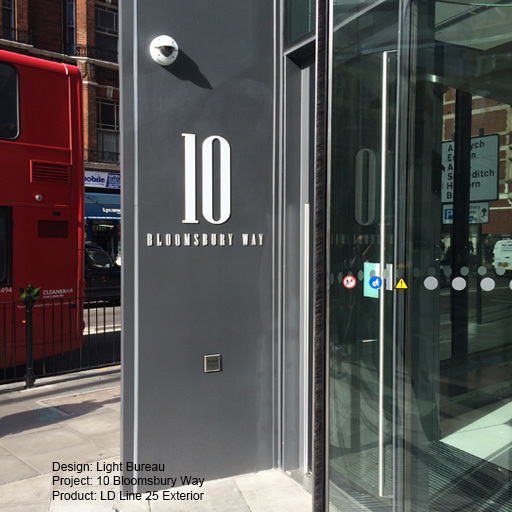 LD Line 25 can be mounted internally into the floor / ground, but only in areas of low footfall. 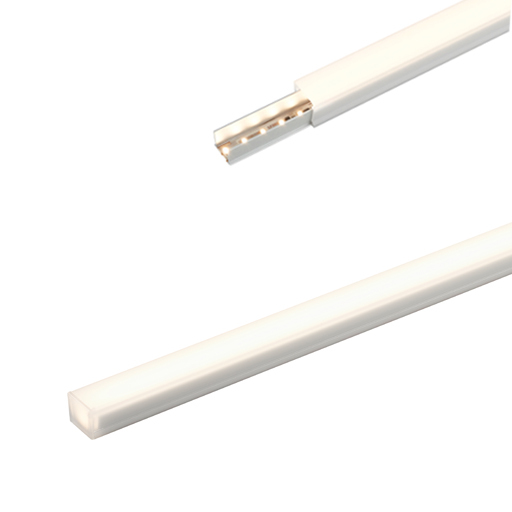 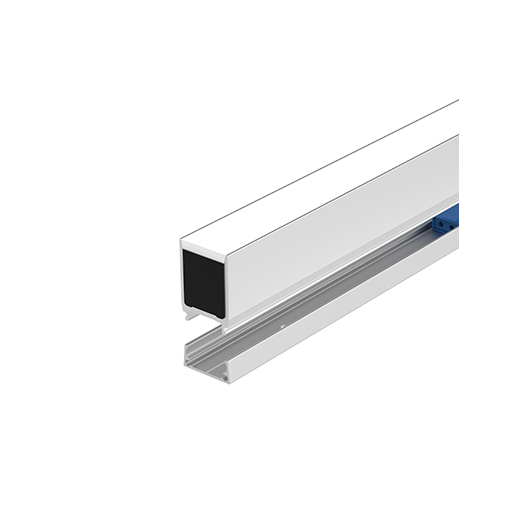 Multiple lengths can be installed end to end for a continuous line of light with no dark spots. 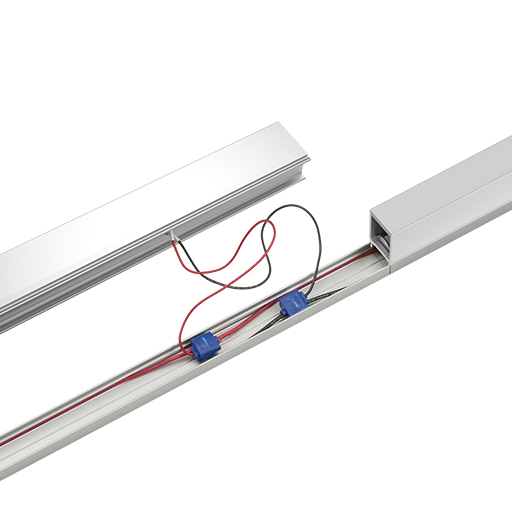 Quick and easy installation via first fix base and 3M connectors which attach each length to the bus wire and power supply. 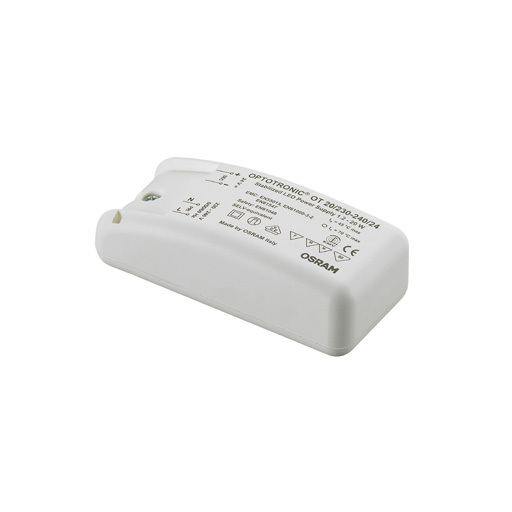 It is available with 1-10V, DMX or DALI control gear.